On top of functionality and cost risks, proper cleaning of all facilities is just good organizational practice. Keeping the data center and other areas properly cleaned helps maintain the aesthetics of not only the data center environment, but the company as a whole. Before you can think about when and how to keep your data center clean, however, you need to understand how much time and money your data center can cost your organization if not properly maintained. When your data center is neglected, you risk losing tons of money and time. As previously mentioned, the electricity alone that’s needed to run a data center can cost hundreds of thousands of dollars per year. To keep those and other costs at bay, you need to know what affects them. Also, if your data center is neglected to the point it actually goes down, not only do you risk damaging your client relationships and server security, but your staff has to stop anything else they might be doing and go into crisis mode, costing you valuable productivity time. 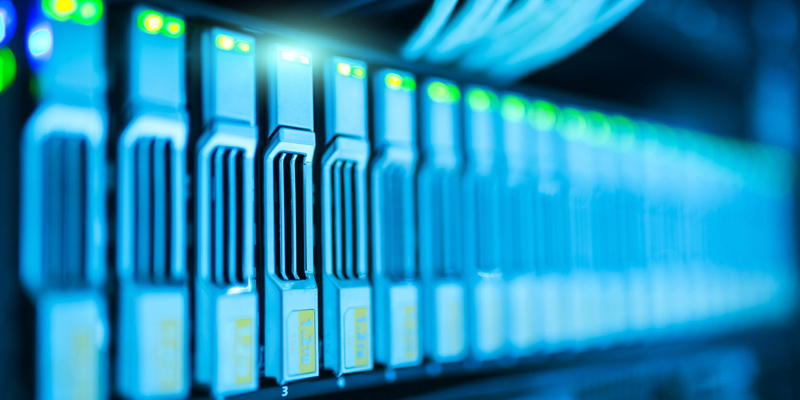 There are several factors that contribute to the cost effectiveness of data centers, like the temperature the center is kept at, the amount of air allowed to enter, the amount of power and electrical output, thermal efficiency, and more. Simple things like reducing bypass airflow, limiting the number of perforated tiles, keeping cooling unit return air sensors properly calibrated, using blanking panels to seal off hot air, raising cooling unit set points as much as possible, and turning off unnecessary cooling units can all help control costs. Those are all helpful tips for keeping the costs of running data centers under control, but where does keeping the data center clean come into play? Well, the real key to keeping any data center not only functioning efficiently, but functioning at all, is the plenum beneath the floor that pumps cool air upward. If this plenum, which is prone to dirt and dust collection due simply to gravity, isn’t kept clean, none of the cost-controlling efforts mentioned will do any good. 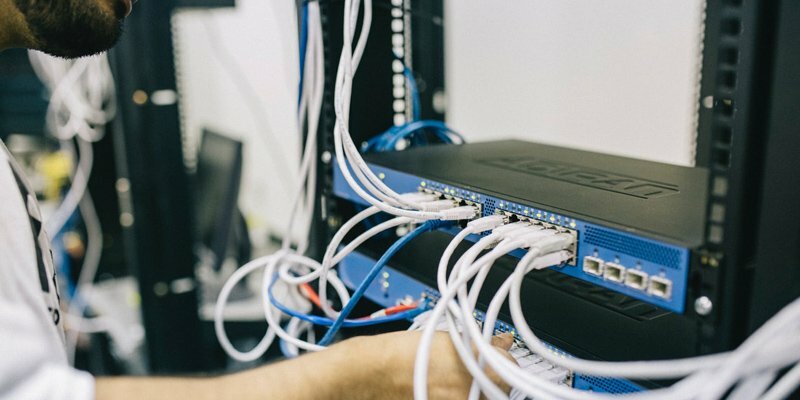 Allowing dirt to build up on your plenum means your data center equipment will be prone to clogged circuits, increased fire hazards, and more, putting the entire data center — and your bottom line — at great risk. And plenum is just one example of how lack of cleanliness can harm your data center’s overall functionality and cost. A case study from Upsite Technologies indicated that making the types of changes outlined above led one client to reduce their electricity costs by $27,900 per year. In general, a 15,000 square foot data center can expect to reduce overall electrical costs by 20-25 percent by maximizing efficiency, and cleanliness plays a major role in that. Cleanliness is not the only factor that can cause a data center to crash. There are many steps you can take prior to and in between cleaning to ensure your data center stays up and running as much as possible. Keeping it clean is really the final step in ensuring its efficiency and cost-effectiveness, but neglecting that important step could jeopardize all your other hard work. To keep your data center as efficient as possible, and therefore as affordable as possible, the number one thing you need to do is keep it clean. Data centers should be properly and thoroughly cleaned at least yearly. It takes a knowledgeable team with specialized training and tools to get the job done right. Do your research when selecting a vendor and ensure you clearly communicate expectations and provide feedback on the level of service received. Lay it out logically. Before you even begin thinking about cleaning services and procedures, you need to think about the construction, layout, and design of the data center. Not only does it need to be organized in a way that makes sense to those who work with its equipment daily, but it also needs to be set up to help prevent cleaning from being too cumbersome. Don’t make anything too hard to get to, especially if its cleanliness is critical to operations (like the plenum). Think through your design and consult with knowledgeable stakeholders before building out something that won’t serve the needs of your organization, employees, or customers. Establish policies. Once you’ve nailed down a design that makes sense to everyone involved with the data center, you need to establish and enforce policies that will keep the center in tip-top shape. Setting rules for things like what people are allowed to bring into the data center can help keep it up to standards in between deep cleans, thus keeping your servers running smoothly. Provide continuous training. Set up a system or schedule for continuous training for data center staff. Whether that’s just simple refreshers for the policies in place, in-depth looks at new procedures, or a combination of the two, the better trained your staff is, the better your data center will operate and be maintained, and the lower your overall costs will be. Plan for the worst. Role play worst case scenarios with your staff, similar to a fire drill. What do you do if the whole center goes down? What do you do if a server catches fire? Make the situations as real-life as possible so your staff will be prepared if something ever does go awry, but also so they’ll be motivated to do their part to contribute to the data center’s upkeep in the hopes of avoiding catastrophe. Break down silos. Often, physical data centers are maintained by facilities-type staff, whereas the actual data is owned by IT. Bridge that gap. Expose the two teams to each other; encourage them to get to know each other’s roles. Maybe you could even have them shadow each other for a while to get a feel for what goes on in that parallel world. This will help reduce downtime if and when it does happen because knowledge-sharing will exist as will the working relationships needed to facilitate results. Leave the cleaning to the professionals. Now that all the planning is in place and groundwork has been laid, you’re ready to think about how you want to approach keeping your data center clean, which is a mission-critical task. As previously mentioned, you shouldn’t put this important duty in the hands of any person or organization that isn’t specifically trained for it. The cleaning service you employ should understand what data centers are as well as data center standards and design theory. They should be familiar with common reasons for and costs of data center failures, sources of contamination, hazards of dust and debris, how to prepare materials and equipment for cleaning, the order in which to clean, the difference between full and maintenance cleaning, raised floor cleaning, quality assurance and customer satisfaction, risk assessments, HAZCOM, PPE, access permissions, security protocols, and confidentiality. Their cleaning products and equipment need to be LEED-certified and the cleaning team needs to limit the amount of water used during cleaning to minimize the risks of damaging the sensitive server equipment. Don’t leave this important task to amateurs. You have too much at stake. Data center cleaning is unbelievably important. We’ve talked extensively about how it contributes to your bottom line and the overall efficiency of your equipment and processes, but it also affects the safety of your customers’ data, the health of the employees who spend time in the center, and your overall professionalism as an organization. If you’re going to invest the time, money, and resources required to keep a data center running, you need to extend those investments to the team used to keep the data center clean. All the latest server equipment and efficient airflow processes in the world won’t save you if dirt and grime are allowed to accumulate. Tons of information about the skills and training your cleaning team should have has been listed, and they were probably a little daunting. Where are you going to find a resource that checks all those boxes? One option is to take it upon yourself to establish that type of team in-house. We offer a detailed data center cleaning guide to help you do just that. This guide takes deep dives into sub-floor and plenum cleaning, followed by top floor cleaning, as well as the cleaning of surfaces and the tape library. Or, if you’re looking to do a little less legwork, the Pegasus Data Center Cleaning Technician Course covers all the areas mentioned. We have the certified professionals you need or can help you establish your own with our comprehensive guide. The choice is yours; get started today!